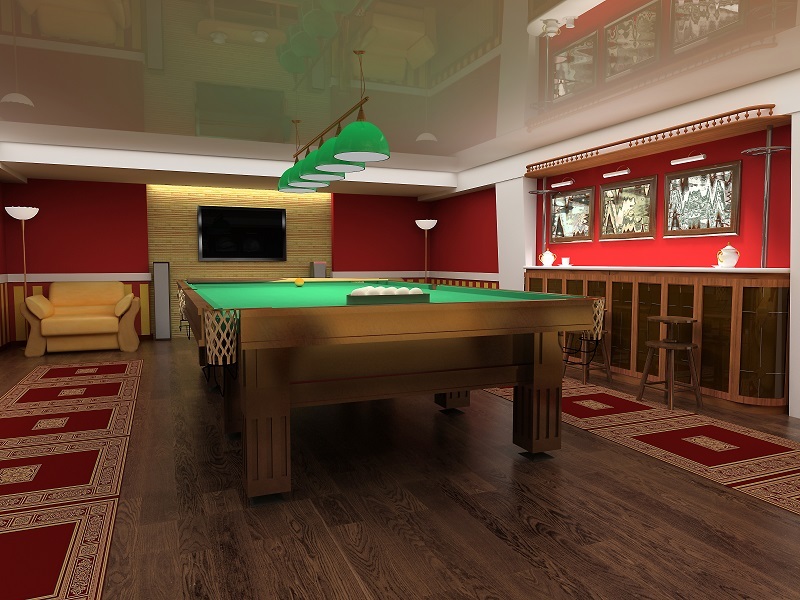 Creating a game room is a very exciting project to do within your home. You are making a comfortable place for family and friends to gather and compete in some lighthearted (or fierce) game competition. Whether you are adding a card table, pinball machine, billiard table, or some other type of exciting game to your new game room, one thing that should be considered is the color that you want to paint on the walls. Whichever color you choose will help to create a specific atmosphere, and it should be one that you have put a little bit of thought into. Before picking the paint color for your game room area, think about what other things you are going to place in the room. What type, and color, of furniture, game boards, wall hangings, or even the felt surface of a billiard table, if you are adding that to your space. Once you have a collective idea of items that are going to be in the game room, then consider paint colors that will be complimentary to the environment. You should not be afraid to be a little more creative in your playroom than you may be throughout the rest of your home. Afterall, a playroom is a place that targets having fun and celebrating joyful parts of life. Your paint choice should reflect a color, or colors, that are fun to you and make you feel playful and relaxed. Some people choose game room colors based on a particular interest or hobby. For example, if you are a Miami Dolphins fan, you may consider using aqua or orange for color schemes in your game room, because those are the colors that represent the Dolphin’s team. When making considerations for your personal game room, you really cannot go wrong. Just remember to pick games, furniture, and wall color themes that will help you have a place that you enjoy and that you will like to share with other people that are important to you.